Mandacaru is a native of Brazil and occurs abundantly there in the semi-arid north eastern region of that country. It has now reached some other parts of the world too. In South Africa, they have declared it an invasive plant. 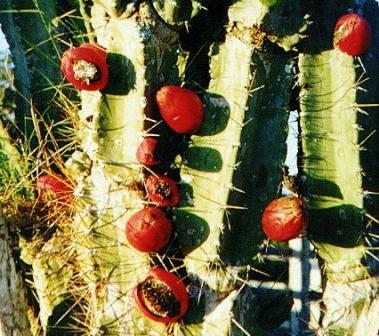 It bears edible fruits which are fondly eaten by local people. Mandacaru occurs mostly wild. 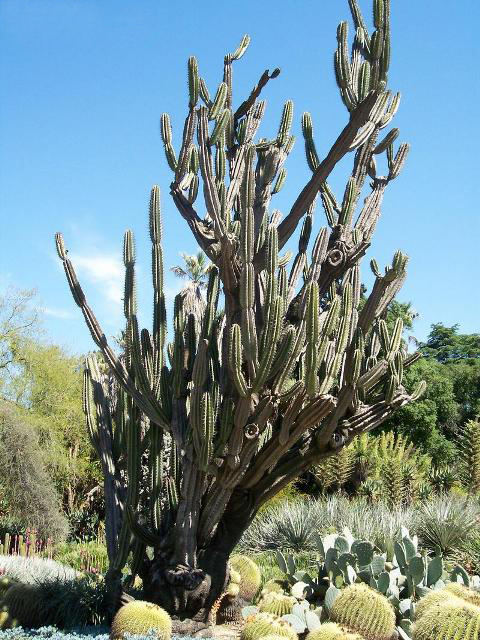 A tree like succulent, 4-12 m tall with short but well defines trunk. Cladodium with 4-10 ribs and branching; areoles on branches spaced 2-4 cm apart; spines variable in number, 1-4 central and 7-12 radial per areole. Fruit a berry, 6 cm long, yellowish pink from outside, dehiscent via longitudinal openings, containing a farinaceous, succulent white pulp; sweet, edible, rated very tasty. The fruits are quite tasty and therefore eaten as well as very liked by local people. But still the plant is not cultivated for fruits. Mandacaru is sometimes planted in the gardens as fence. It is highly drought resistant. 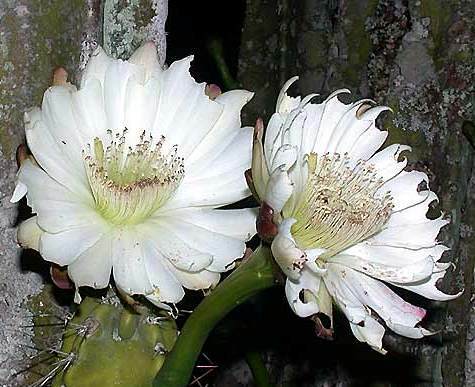 New plants can be raised from seed as well as from cuttings as is usually done in most cacti.